April showers bring May showers. And then, in June, come the brides. 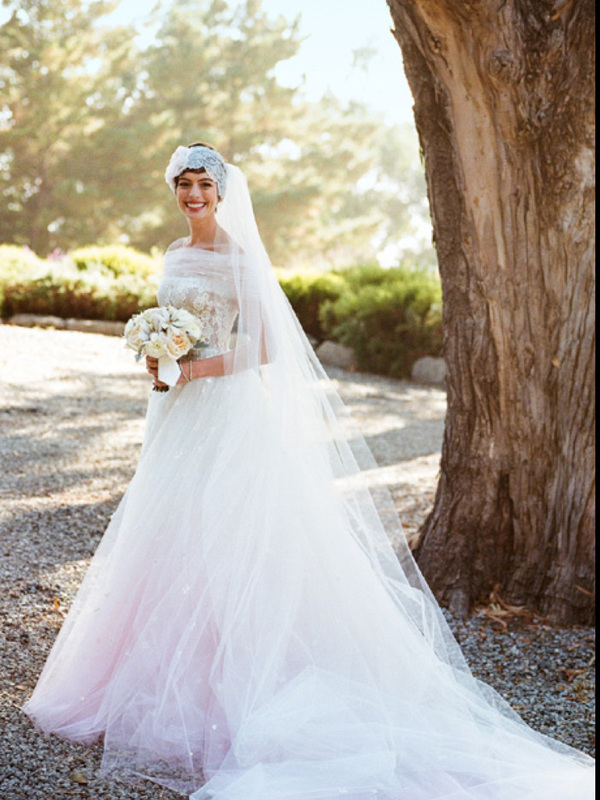 Summer wedding season is upon us, and as even the most casual observer of nuptial fashion knows, Valentino’s bridal gowns are the stuff that dreams are made of. 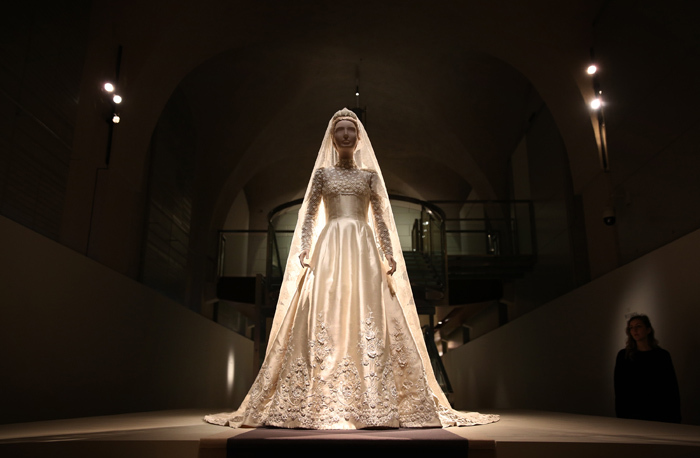 In November, Mr. Valentino came out of retirement to design the stunning gown that his friend and muse Anne Hathaway wore at her top-secret ceremony; other famous Valentino bridal gowns, meanwhile, made a much less hush-hush trip down the aisle. For instance, when Marie-Chantal Miller wed Pavlos, Crown Prince of Greece, in 1995, her Valentino Couture gown commanded the attention of the adoring crowd assembled outside St. Sophia’s Cathedral in London. The gown was made by no fewer than 25 of Valentino’s seamstresses, featured twelve kinds of lace, and had a train almost 15 feet long. Jackie O’s wedding style was rather less elaborate: When she wed Aristotle Onassis, Jackie opted for a short Valentino dress from the 1968 White Collection. There have been many, many other major Valentino wedding moments-- though not all of them happened en route to the altar. One unforgettable gown appeared on the runway, as Claudia Schiffer closed the Valentino Spring/Summer 1995 Haute Couture show in a body-hugging white wedding gown with a vast train and dip-dyed navy hem. True love, indeed.